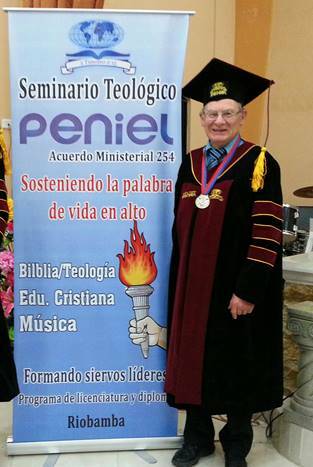 Wil gave commencement address at Peniel Theological Seminary graduation. "Holding fast the word of life, so that in the day of Christ I may have cause to glory because I did not run in vain nor toil in vain" (Philippians 2:16). 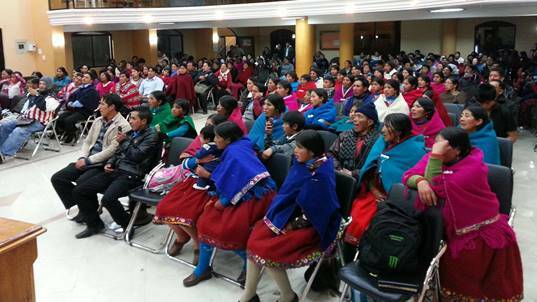 We now have 170 Quichua students involved in Bible and theological studies at four locations in key areas of the country of Ecuador. Peniel is not a "diploma mill." In the five years since the school began they have graduated ten students, with four of them graduating this last week in Riobamba. 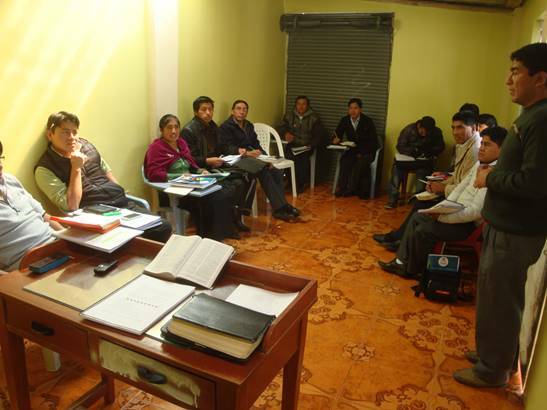 Peniel is serious in its commitment to excellence in theological education for the indigenous people of Ecuador. At graduation I spoke to a large audience on the man God uses. 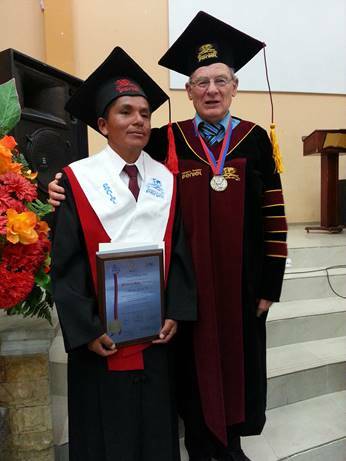 The commencement was carried on several Christian radio stations in Ecuador and internet radio. There was a sense of God's presence in the service. 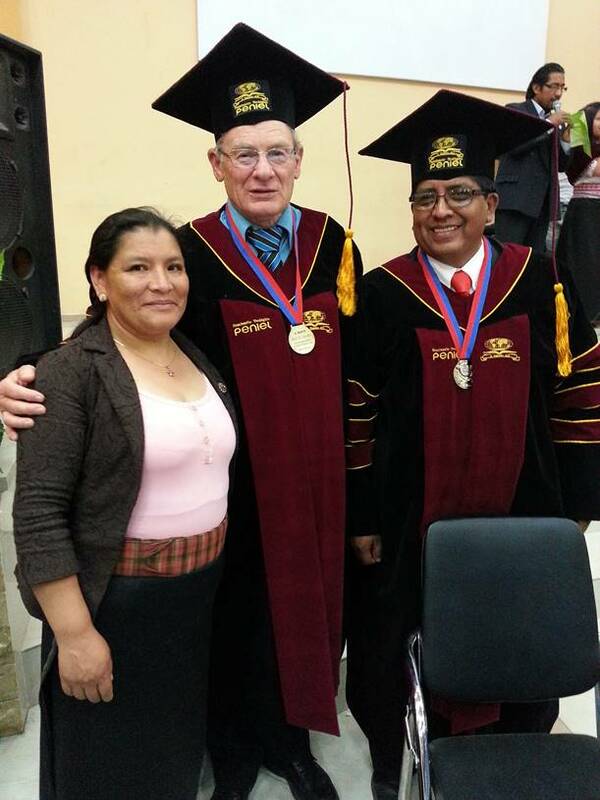 One of the graduates was Alejandro Guacho who is pastor of Genesis Bilingual Quichua Church in Riobamba. I have had an excellent mentoring relationship with Alejandro over the past four years since he provides transportation when I preach and teach in the country. God has blessed his ministry at Genesis as it has grown from a house church to its own church building. He and Damasco Francisco, a professor at Peniel, have revitalized a Shuar ministry in the "head hunter's" community at Chiwias in the jungle. I returned with them over the weekend and preached a message on God's grace in salvation. Graduation was also part of the 4th Annual Pastor's Leadership Conference. 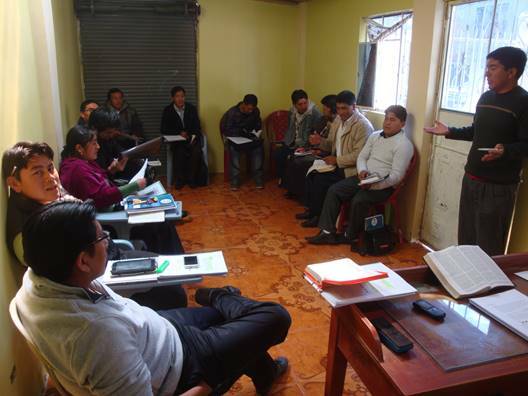 I serve as the International Coordinator for Peniel and am responsible for the Annual Pastor's Conference. At this year's Pastor's conference each participant received a copy of volume one of my 250 page book in Spanish Cristo en el Antiguo Testamento (Christ in the Old Testament, Genesis through Psalms). I gave six presentations on Christ in the Old Testament and 33 eternal riches of grace in Christ Jesus. The seminary plans on Wil teaching five courses next year. 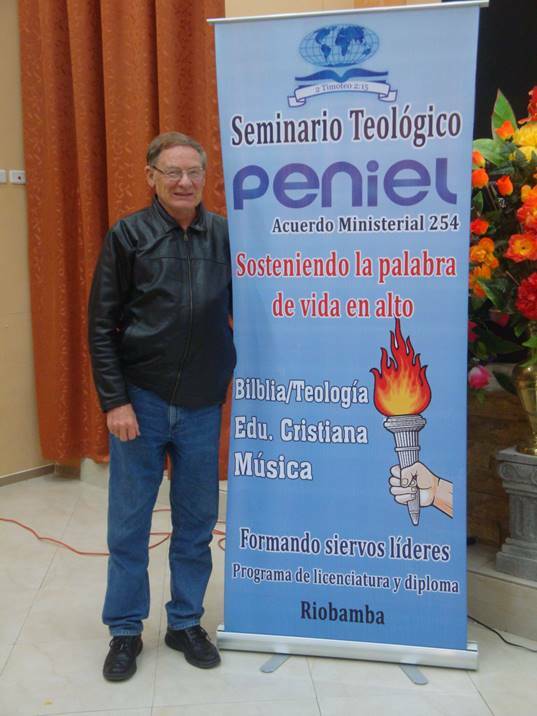 Lord willing, next year I will teach five courses for Peniel in Spanish in Quito and Guayaquil. 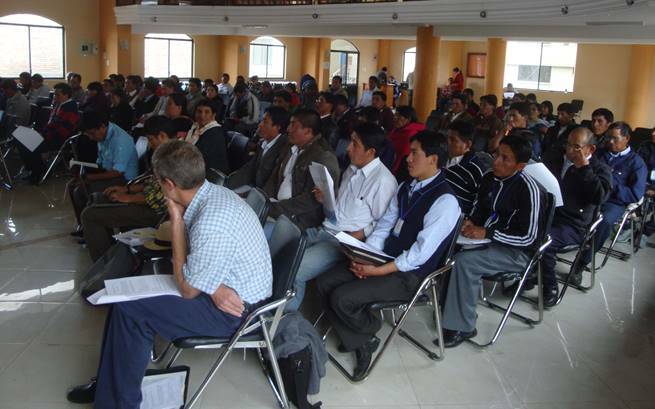 Also, I have been asked to expand my presentations on how to maintain sound doctrine in churches at the Quichua National Pastors' Conference in December. 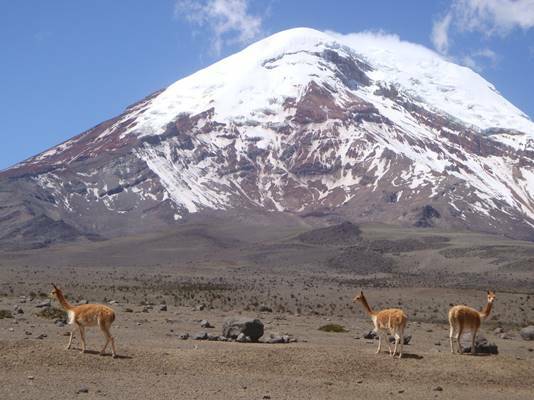 This year we will meet in Colta where the Quichua work began a century ago. 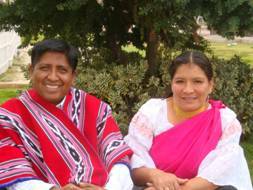 Quichua pastors will come from all over the country. Please pray for the Lord to provide property on which to build seminary classrooms. 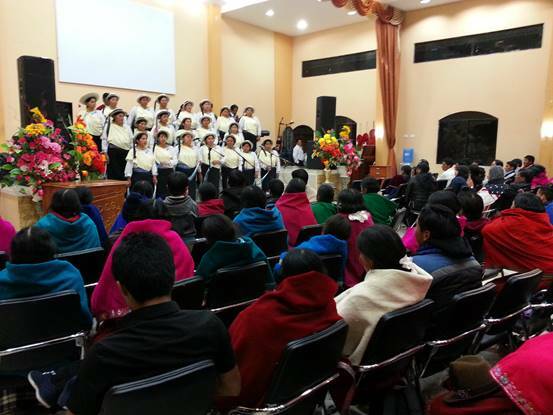 The extensions meet in churches, and in Riobamba classes are held in Alberto Copa's home. 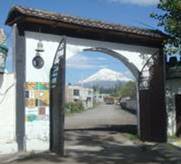 When we purchase property in Riobamba the Quichua churches will help provide construction of the buildings. Please pray for the Lord to provide property on which to build aseminary campus. 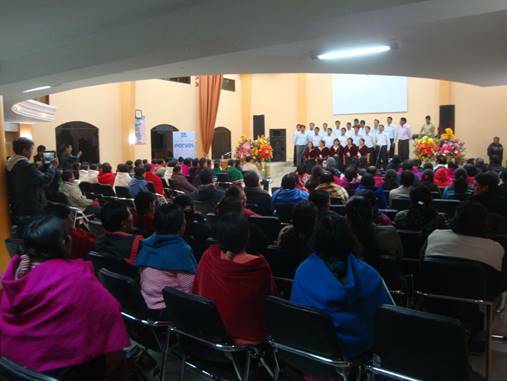 The extensions meet in churches in Guayaquil, Quito, Pallatanga, and Guaranda, and in Riobamba classes are held in Alberto Copa's home. Peniel class on Biblical theology. Pray with us for property to build classrooms. Partnership missions give you an opportunity to become personally involved in what God is doing in world missions. Pray daily for the work in Honduras. Give financially. We are a faith mission and are dependent upon your financial gifts. Please pray about becoming involved in the support of our mission. "As long as the Lord provides I will give � $25 $50 $100 $___ a month."